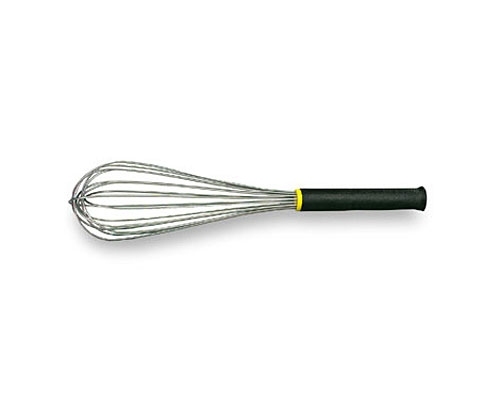 Norpro's Sauce Master Whisk is 11.5 in. 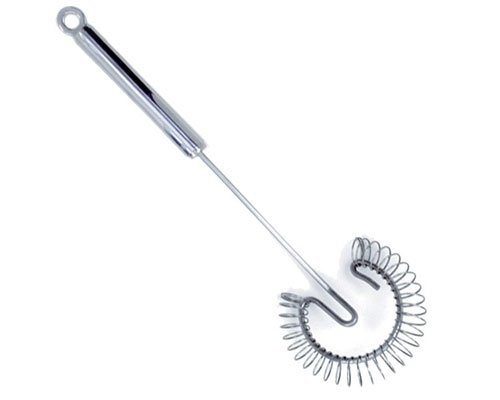 in length constructed of Stainless Steel. 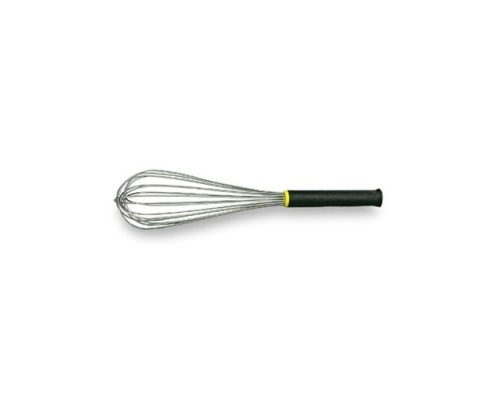 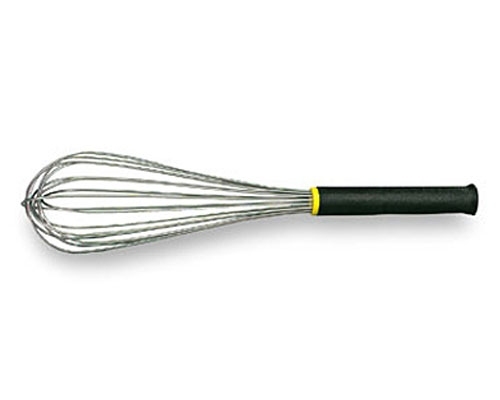 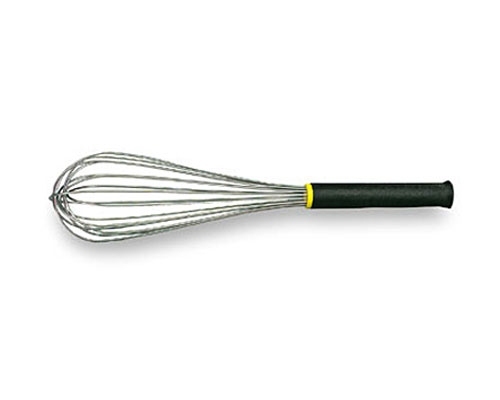 This whisk gives you better performance when whisking eggs or cream. 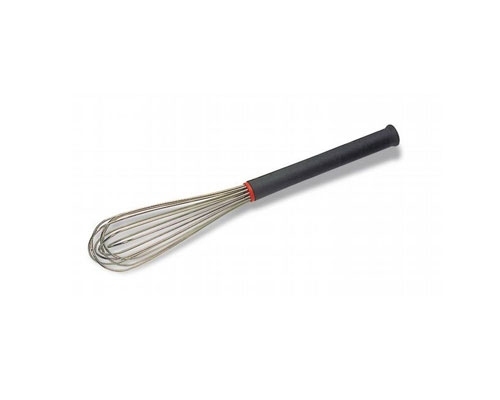 Instead of the normal method of figure 8 whipping, this one works best with an up and down motion and incorporates more air than a French whip.